DON'T READ THIS SENTENCE! I remember learning to read. But I can't look at words and NOT know how to read now. Likewise, many experienced birders can't really know how hard it is for beginners to identify some birds that we now know instantly and subconsciously. I wanted to create a series of identification articles. No, not immature gulls and Empidonax flycatchers. These groups are truly hard. But what fairly common birds or species pairs do birders in the Pacific Northwest have trouble with? I can't always ask them, because they may not even know they are making an ID error. That's the focus of this post, not necessarily hard-to-identify birds, but most-misidentified. The distinction is subtle, but important. Many hard-to-identify birds are hard because they are rare enough in the Northwest that birders don't get much experience with them. Many of the birds on the following list, however, are common birds, but misidentified none-the-less. In the past I tackled a few of these already on my blog. The separation of Greater and Lesser Yellowlegs is certainly a challenge for some. Ruby-crowned Kinglet versus Hutton's Vireo is easy--once you know the tricks of what to look for. Another frequent "easier" ID challenge is Horned and Eared Grebe separation. Canada Goose or Cackling? This still has some more experienced birders unsure. Never heard of Cassiar Junco? Then you are probably misidentifying them as Slate-colored Juncos. More recently I addressed a problem common to local Christmas Bird Counts--winter Western Sandpiper and Dunlin. My personal list, not counting the challenges written about above, was 30 bird ID problems. 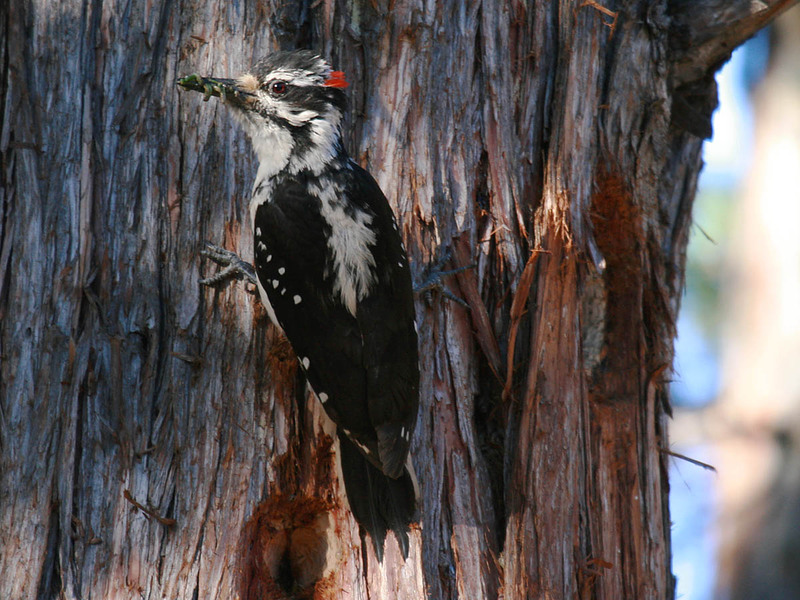 Chuck Gates in central Oregon sent a list of 45 birds. Steve Shunk, also in central Oregon, stuck to 10 birds. Charlie Wright in Washington mentioned 9 specific challenges, some additional general groups, and some problems with bird song or call confusion. Robert Mortenson gave me his perspective from Idaho and Utah with a list of 11. And Richard Leinen in the Portland area gave me 13 that still give him some problems. All told, 118 challenges from 6 persons. Would you believe that 70 different ID challenges were mentioned? Yes, these six birders mentioned 60% unique ID challenges! Here, then, is a countdown of the most misidentified birds in the Pacific Northwest, along with some comments about what might make them such a challenge to identify. Garnering mentions on 3 of 6 lists are the following common ID challenges. Very similar, especially Purple and Cassin's. Fortunately, range and habitat helps separate them. Unfortunately, many birders aren't as familiar with status and distribution as they could be--it's as important as learning molt and parts of the birds. These are truly difficult, with complex patterns requiring intimate knowledge of plumage terminology and placement: tertials, wing coverts, secondaries. 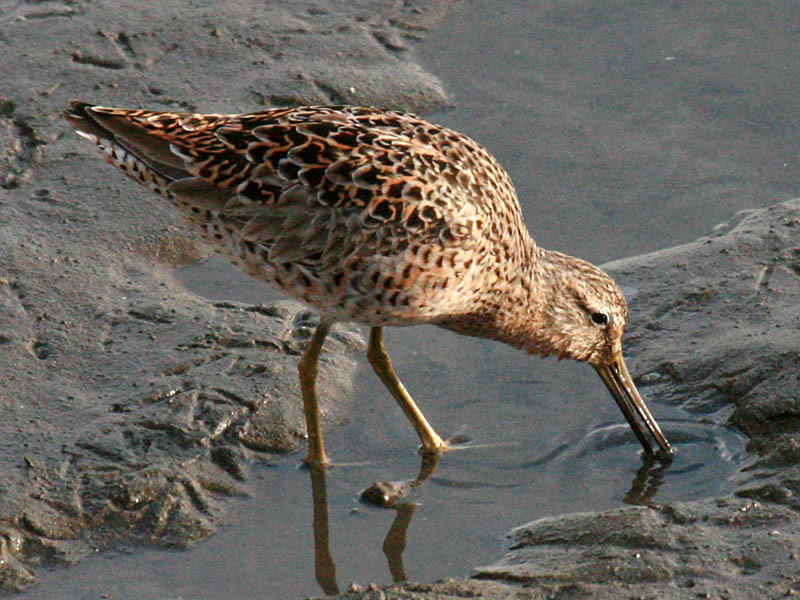 As with many shorebirds, ID is complicated by separate and long-held juvenile, breeding, and non-breeding plumages. Subtle shape differences of the bill and head aren't as clear-cut as would be more traditional field marks on these similarly colored birds. 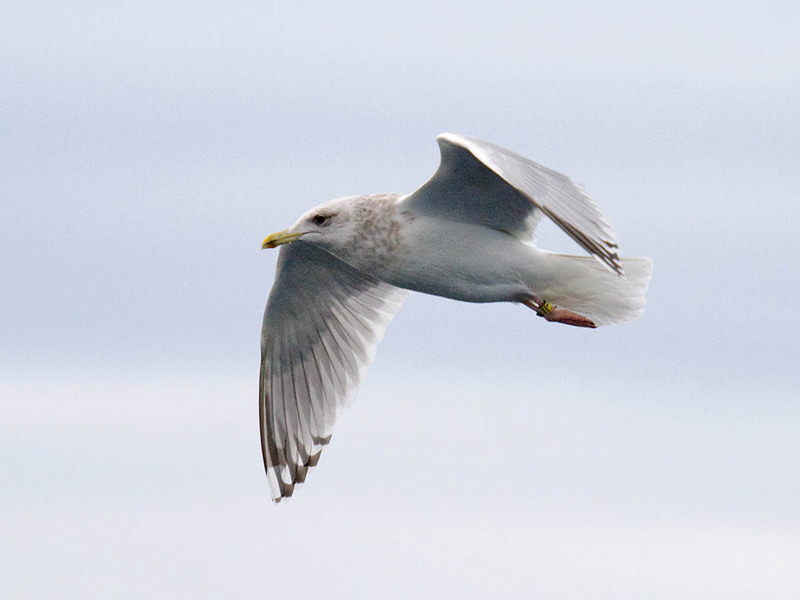 It doesn't help that abundant hybrid Western x Glaucous-winged Gulls can show basically identical wing tip patterns of Thayer's. Richard Leinen echos many birder's lament: "Thayer's are a mystery to me." Unlike shorebirds and immature gulls, it is the lack of pattern that causes a problem for many birders. Flight style differences make identification at a distance easy once learned, but birders don't have a vocabulary for this method of ID. Identical pattern and not much different in size. The relative length of the bill can help, unless forehead feathers are worn and damaged from digging nest cavities. 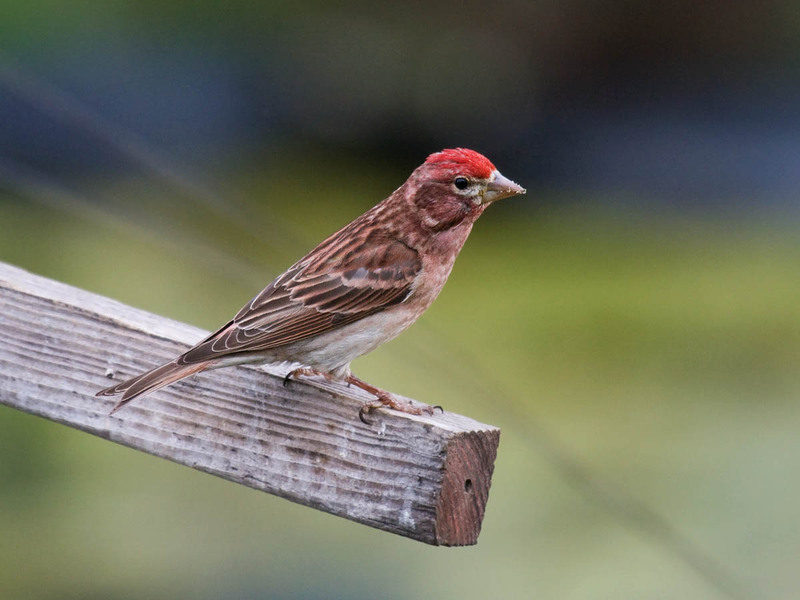 Charlie Wright wrote, "Sparrows are amazingly tough for people, especially visiting birders from the East. 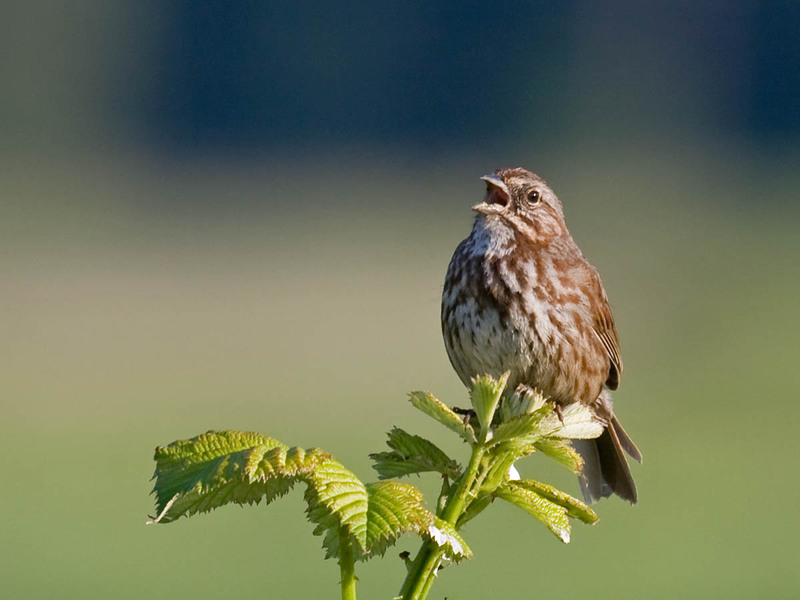 Our Song Sparrow subspecies just beg to be called Fox Sparrows, Swamp Sparrows, even Lincoln's Sparrows, apparently just because they're so different from East Coast birds." 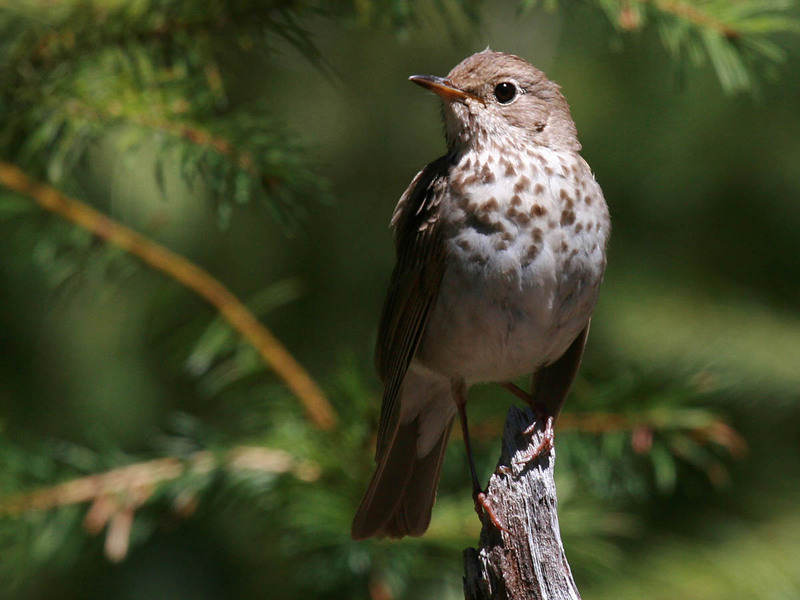 He also notes another problem for eBird reviewers: "Summer Lincoln's and Fox Sparrows are not flagged [by eBird automatic filters] in counties where they breed in the mountains, yet people continuously report them in urban and lowland areas throughout the summer. The following 3 identification challenges each were mentioned on 4 out of 6 lists. This is a perennial identification problem despite the many highly detailed ID guides and articles. When looking at a perched bird, rather than trying to gauge the relative size of the eye to the rest of the head, look at the front of the tarsus and remember how the Sharp-shinned Hawk got its name. Such a bright bird distracts one from looking at the tell-tale under tail coverts. Learn the calls. 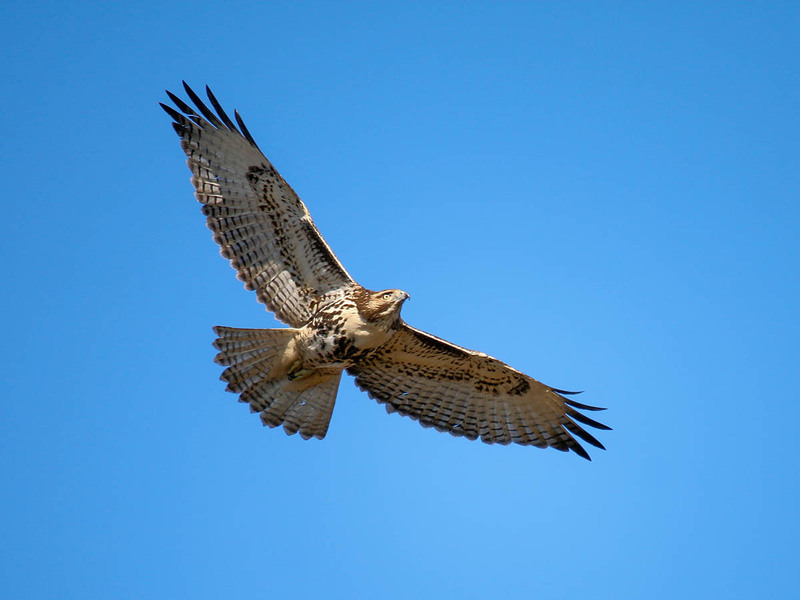 As Steve Shunk notes, young Red-tailed Hawks do not have red tails. 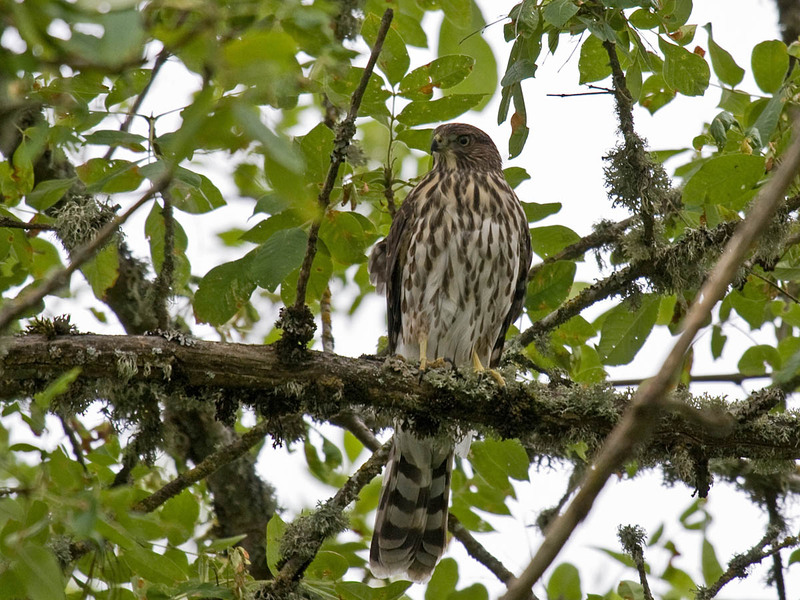 Robert Mortenson notes that Red-tails aren't just mistaken for other Buteos, but "every other hawk, falcon, and eagle." Richard Leinen admits that the "variability of Red-tailed can be confusing at times." 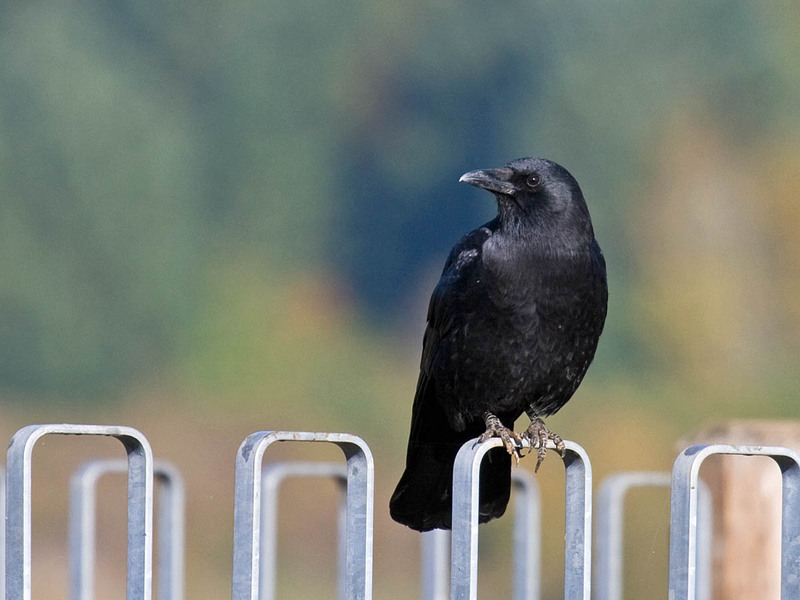 Appearing on 5 out of the 6 lists, our experts agree that this is the most-misidentified bird in the Pacific Northwest. Charlie Wright says that Swainson's Thrushes are reported erroneously every year, "rampant misIDs too early in the season." Visually they are confused with Hermit Thrushes, their songs and calls may be confused with Purple Finch or might be mimicked by European Starlings, Song or Fox Sparrows, Pine Siskins, or other songbirds. As Richard Leinen correctly notes, the supposed field marks shown in the ID guides "don't seem to be obvious in the field." The following species received mention on two lists: female Common and Barrow's Goldeneye, Black-capped and Mountain Chickadees, Lesser and Greater Scaup, Tundra and Trumpeter Swans, Cackling and Canada Geese, immature Bald Eagles as Golden Eagles, American and Pacific Golden-Plovers, Greater and Lesser Yellowlegs, Rufous and Calliope Hummingbirds, Bewick's and Marsh and House and Pacific Wrens, Violet-green and Tree Swallows, Least and Western Sandpipers, female Common and Red-breasted Mergansers, juvenile Black-crowned Night-Heron and American Bittern, Brandt's and Pelagic and Double-crested Cormorants, Gadwall and female Mallard, female Eurasian and American Wigeon, juvenile and winter Red and Red-necked Phalaropes. All photos by Greg Gillson as they appear in the photo checklist of Oregon birds. =) I like the advice to think about why it's called what it's called. =) Very useful list--thank you! An excellent post that reminds me to spend a little more time studying the bird when attempting to identify it. Great series of photographs too! Thanks for compiling this list. Now I don't feel quite so stupid when I struggle with these identifications at times. I would have to agree with most of those, especially the accipiters. I can't count the number of times people have reported goshawks, only to show me photos of a Coopers. Like was stated, one of the problems is that we don't know we are wrong when we are wrong! That's a good thing about eBird...the filters help identify wrong ID's. 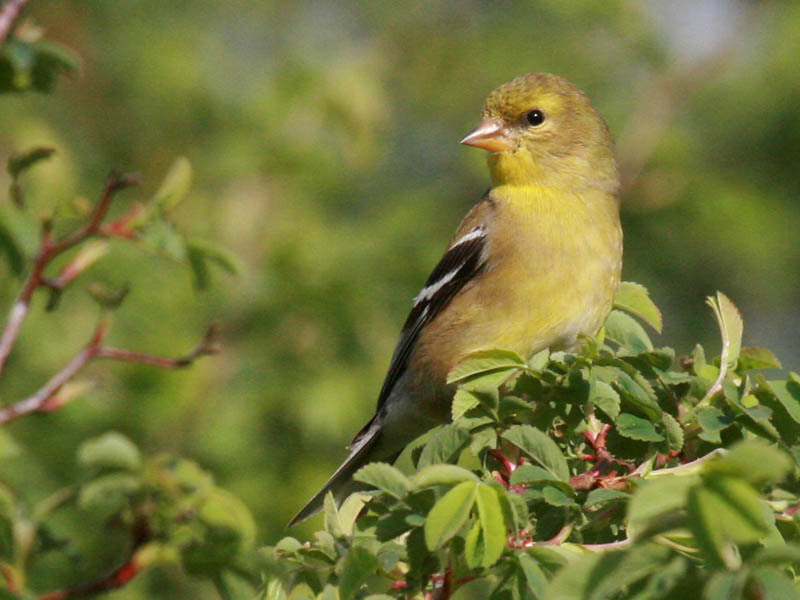 eBird provides an excellent opportunity to learn the status and distribution of local birds. This is especially helpful when visiting a new location. Thank you so much for this post, Greg! Your first paragraph is spot on. As a birder who has dabbled for years, but it attempting to become more earnest about honing my identification skills, you've precisely captured my issues. Especially knowing that wrong identifications are common (as well as for which species) it does terrible things to confidence levels when you see something potentially different! You may not be surprised to know that the species you listed that also occur in Florida also get frequently misidentified. Plus I suspect Louisiana and Northern Waterthrushes would rank pretty highly. Nice post! Thanks, everyone, for your comments. It is interesting to me that whether common or not, these birding challenges fall into 2 main groupings: birds with complex patterns (sparrows, accipiters, dowitchers) and then monochromatic or patternless birds (crows, adult gulls). Knowing exact parts of birds (undertail coverts on goldfinches, tertials on juvenile dowitchers) is important. But likewise, shape is of utmost importance, and not emphasized enough in traditional field guides. East coast Song Sparrows fool me every time! Those pasty birds always throw me the first day or two of any visit- I am so used to our dirty birds. I would be willing to bet that the dowitchers and the large gulls are just as frequently misidentified by more experienced birders. I'm sure you are right. There are different levels of birder expertise, each with its own set of challenges. Female hummingbirds are challenging to me. Would I know a female Ruby-throated if one showed up at my feeder rather than the abundant Anna's? Black-chinned and Costa's are possible, too. A photograph of the flight feather widths on the folded wing is a challenge to get, but would I ever see the ID clincher in just a binocular view?